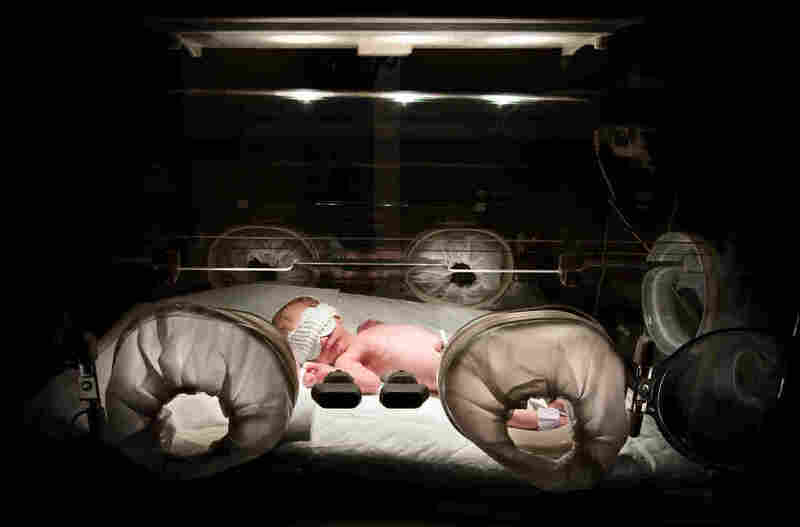 Why Are Premature Birth Rates On The Rise Again? : Shots - Health News Premature birth rates are heading in the wrong direction after nearly a decade of decline. Some states have started to tackle the problem, while others struggle with stubbornly high rates. Stress, poverty and lack of health care can lead to premature birth. Rates remain stubbornly high in many states. The difference in these numbers may seem small, says Becky Russell, the senior director of applied research and evaluation at March of Dimes, but it means about 3,000 more babies who were born prematurely. She says it's a worrying trend line. "If you look at the increases since 2014, cumulatively we're talking about 27,000 babies," she says. One bright spot in the report was that three states and Puerto Rico did show a decline in their premature birth rates. The states with the highest premature birth rates were mostly in the South and the lower Midwest. The highest rate was Mississippi with 13.6 percent and the next was Louisiana with 12.7 percent. Vermont had the lowest rate at 7.5 percent. Prematurity — or birth before 37 weeks of gestation — is a leading contributor to infant death in the United States. 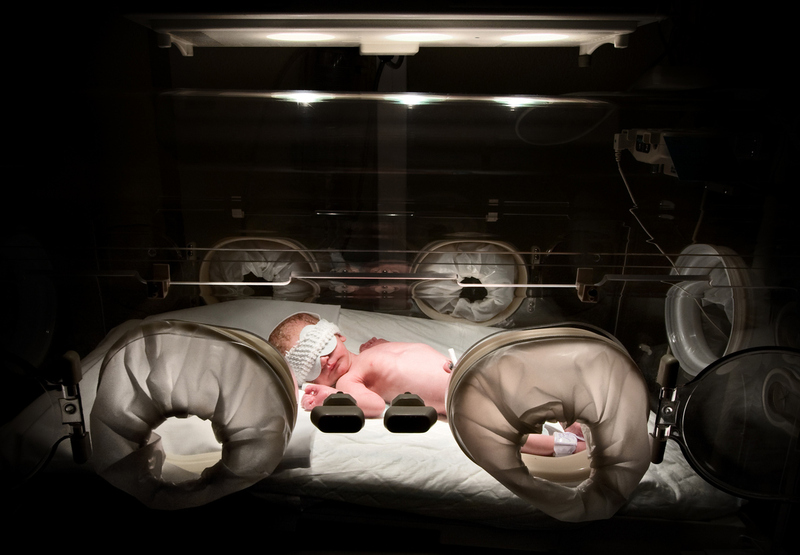 The survival rate of premature babies has gone up in recent decades as neonatal care has become more sophisticated. But, babies born prematurely remain at a higher risk of a range of developmental problems later in life, like cerebral palsy, vision and hearing problems, as well as developmental delays, according to the CDC. While it's not certain what's driving the rise in the premature birth rate, social and economic factors play a big role, says Russell. For example, "unequal access to maternal care, and high poverty rates," increase a mother's risk of delivering prematurely, she says. A mother's race or ethnicity also determine her risk of having a preterm baby. African-American women have the highest risk of all racial and ethnic groups in the country with a 13.4 percent rate, based on data aggregated from 2014-2016. White women had a rate of 8.9. Black women have a 49 percent higher rate of premature birth than women of all other races and ethnicities. 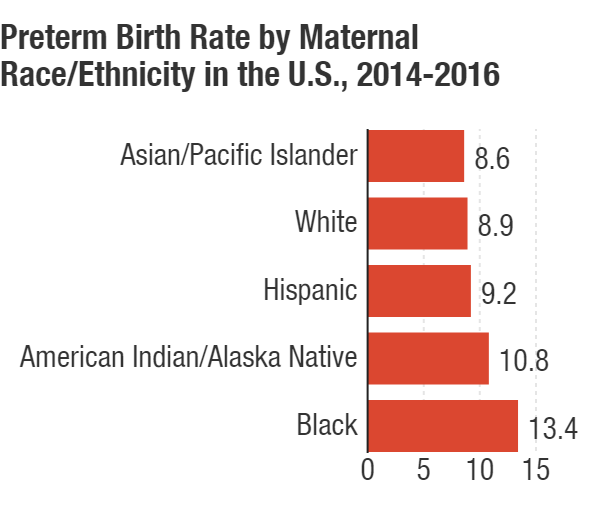 Over the last few years, racial disparities in premature birth have gotten worse, according to the March of Dimes report. However, it's racism and structural discrimination, rather than race, that influences black women's risk for premature delivery, says Rachel Hardeman, a public health researcher at the University of Minnesota who studies the effect of racism on various health outcomes. Research has shown that chronic stress from racism is associated with a higher risk of premature birth among African-American mothers, which also puts them at a higher risk of infant death. Structural discrimination, says Hardeman, can determine where someone lives, their education and income levels, amenities they have access to, including health care facilities. A lower education and employment level are well known risk factors for prematurity, as is poor access preconception and prenatal care. "Structural determinants are creating disadvantages," says Hardeman. A 2013 Harvard study showed that black women in states that formerly had Jim Crow laws enforcing racial segregation had a higher rate of infant mortality than in other states. The March of Dimes report card does offer some hope in some parts of the country. Iowa, Rhode Island, Wyoming and Puerto Rico lowered their preterm birth rates in 2017. In 2007, the state formed a special task force charged with lowering preterm birth rates, says Dr. Ailis Clyne, the medical director at the Division of Community Health and Equity at the Rhode Island Department of Health. The task force has worked to expand insurance coverage for pregnant and postpartum women. "We really wanted to make sure we could maximize women who had health insurance coverage during pregnancy, as well as postpartum." says Clyne. Clyne explains that the postpartum period often leads up to the next pregnancy and this is a crucial time for women to get their health in order. If they have access to a health care provider during this time, it can make it easier for women to get help in managing chronic conditions like hypertension or diabetes, improving their nutrition, or quitting smoking, all of which reduce risks for preterm birth. It also helps to ensure they have a minimum birth spacing of 18 months between two pregnancies, which also helps cut risks. This ensures that they're getting regular primary care visits and getting support in addressing lifestyle factors that can influence their risks for going into labor prematurely. "Fortunately, we (now) have very very few pregnant women who do not have coverage during pregnancy." Access to care and appropriate interventions are key to lowering the premature birth rate and reducing racial and economic disparities, says Russell. "If we don't have a system that allows access to those interventions, we run the risk of seeing even larger disparities, instead of a narrowing of that gap," she says.